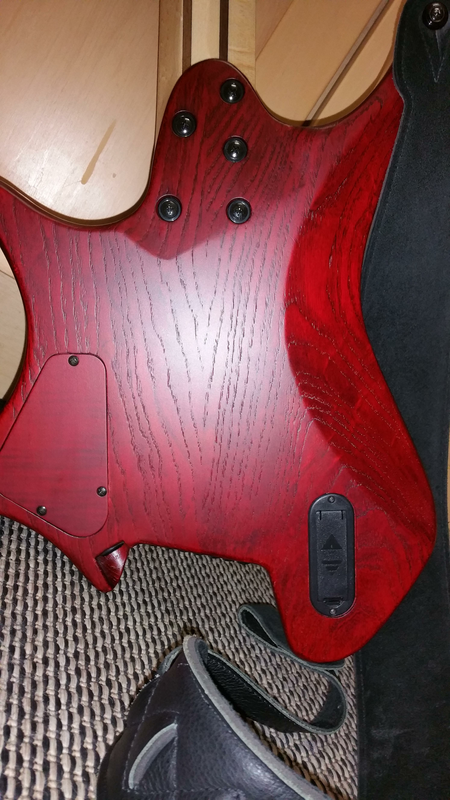 Hi all I have edited my previous review from my NGD thread a few months back. I have had this now for about 3 months so I can happily give a non biased view. First off its the lightest guitar I have ever owned even lighter than a parker fly, looking in the control cavity you can see quite a bit of internal routing. The fit and finish is pretty much perfect in every way, no dodgy frets, over spray etc it's up there with any guitar I have owned. It's a maple top and Ash body. 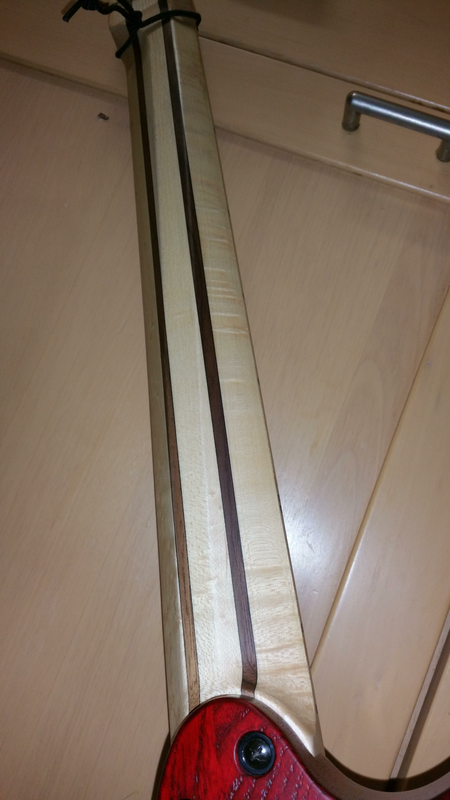 The neck is bird's-eye maple with rosewood and carbon inserts I would have liked a bit more flame on the body but that's just me. The attention to detail is great, ebony tone knobs and glow in the dark dots surrounded by wood, and they're bright when glowing. I don't use the guitar for what it's intended (djent rawk etc) so it's used clean for a lot of the time and they're superb very warm with clarity and tone, they're still active but roll off the tone and they almost sound passive. The middle position with the vol and tone rolled down a quarter actually have a single coilish sound which is really lovely. Harmonics fly out in any positions, it's a joy to play. With gain they are just nasty in a good way def a guitar that can do every type of music. 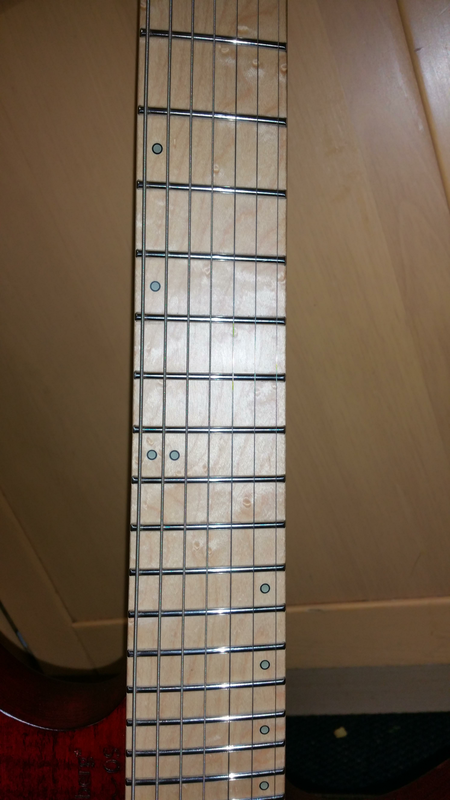 The neck is erm weird, it's like no other neck you will ever play think diagonal square which gets flatter as you go up the neck, and it kind of guides you thumb into the right position. 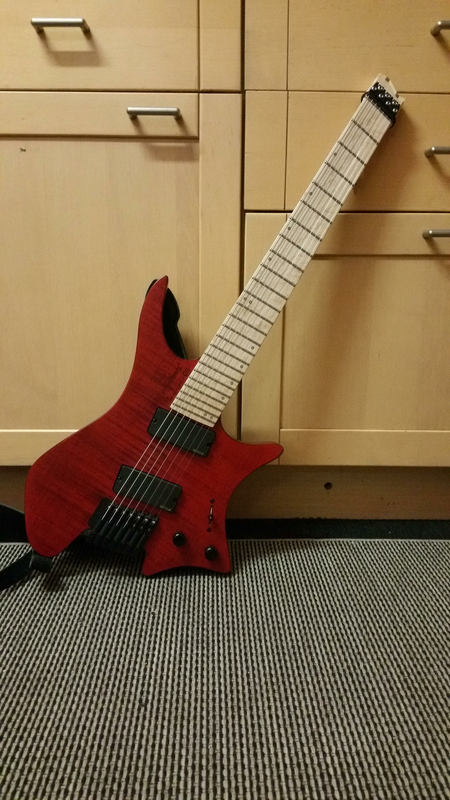 It also has fanned frets which took no time at all to get used to. Only prob for me was I was born with two thumbs on one hand so it does not work quite how if should for me compared to you industry standard thumb people ☺. 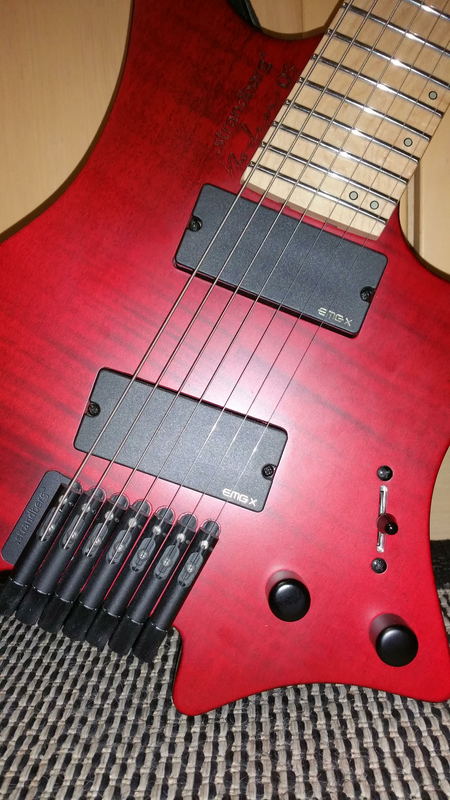 The bridge is all aluminium and all of the hardware is the same as used in the custom shop models, apart from the pickups there is no 3rd party hardware. One issue is the knurled tuners are bloody stiff! I dread tuning it, but I have been told they loosen up over time. (further edit: which they have). It's probably the most comfortable guitar I have ever owned, any position you want is thought about, the designer really did get it spot on when designing this. It's also Korean which I know means nothing these days as it really does run with the best but being a guitarist who's been bought up with the notion USA UK and Japanese is the best everything else is substandard for so long, It was hard to get my head around the fact it's from the far east.... That lasted about 23 seconds until I picked it up then sold all my other electrics as it really was the best. If you don't mind the more forward thinking guitar you have to try a BodenOS, nothing else feels like it,. I'm interested to know how deep the neck is front to back. I've not played one yet but I get the impression it's quite deep. Sad to see that you can't get comfortable with it. Hope the OS goes to a good home. GLWTS. @Humbucked - this is a review not a FS thread. I love everything about that guitar.... Except I fear the neck shape. I should try one, but after playing for almost 30 years I'm not sure I want an instrument to force my fingers into a position.